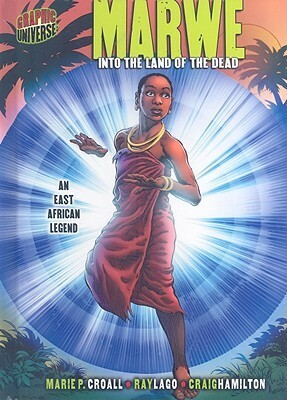 i'm always on the hunt for graphic novels set in Africa. while Marwe is okay, it didn't completely thrill me. for one thing the descriptive intertitles have an unnecessarily antiquated Prince Valiant kind-of feel. for another, the story leaves some gaps in the telling ("so she lived for years in the Land of the Dead without eating?"). ultimately it's a good story that teaches several valuable lessons. but something about the brevity of the telling left me unsatisfied. An East African Legend. Appears to be well-researched -- both the story and the illustrations. Graphic Universe has quite a variety of titles! They had Cybils nominees in both 2007 and 2008.